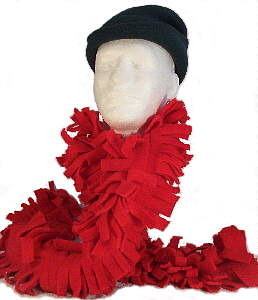 Try one of these stylish boas for an exciting new look to your cold weather protection. Our Fleece Boas are five feet long! Support your team and wear a two-tone!